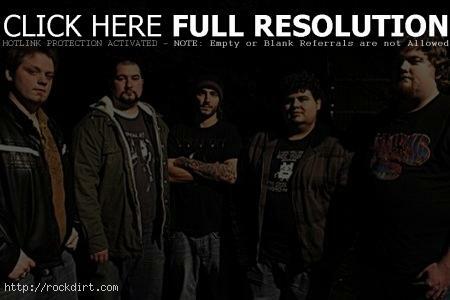 InsideOut Music announced the signing of progressive groove metal band Stealing Axion. Hailing from the Pacific Northwest, the band was formed in the winter of 2009 by three friends, Dan Forbrich (vocals, guitar), Josh DeShazo (vocals, guitar), and Phil Willmarth (vocals, bass). By early 2010, the band recorded and released their self-titled EP, while continuing to write and record more material. While Stealing Axion circulated around the web, fans and critics praised it for its musical proficiency, atmospheric passages and heavy grooves. The band then enlisted Charlie Shaughnessy (guitar) and Blake Ferris (drums) to round out their lineup while working closely with Acle Kahney (producer, guitarist of Tesseract, who mixed and mastered these new tracks). Stealing Axion finally had enough material to put together a full length album, entitled ‘Moments’, which will now be released through InsideOut Music in 2012.